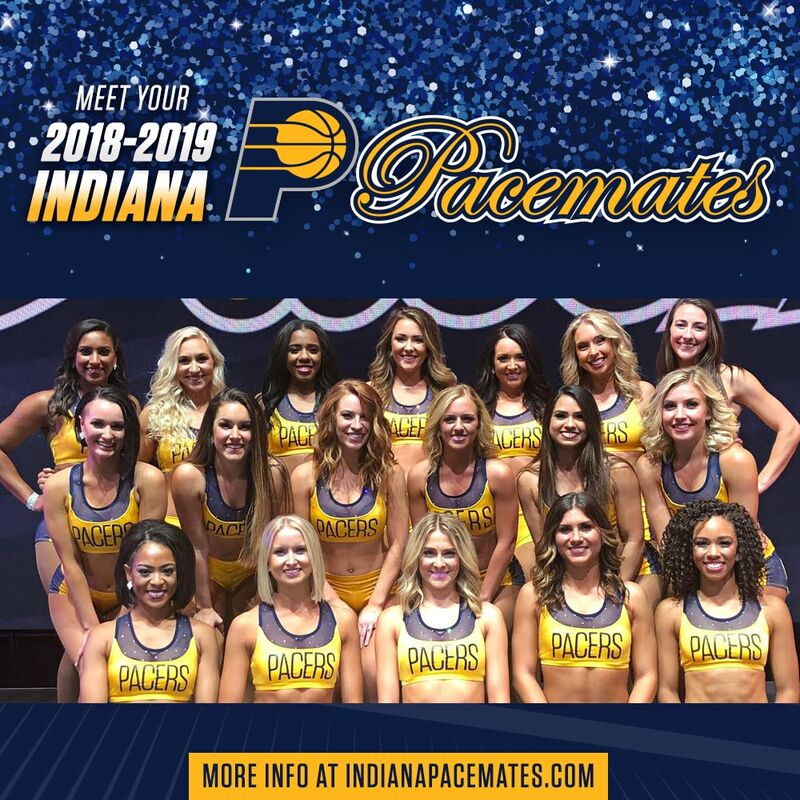 The Pacers host the Celtics in game 4 of the NBA playoffs but despite the tough effort the Pacers couldn't pull it off in the 4th quarter and fall out of the playoffs with a 110-106 loss. 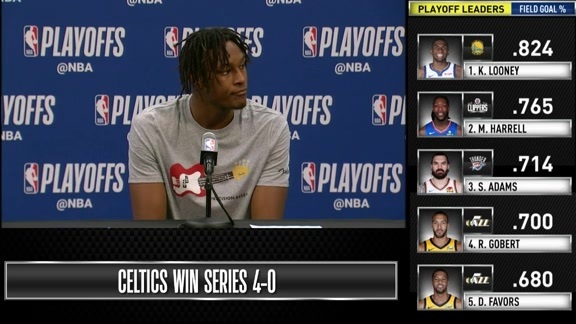 April 21, 2019 - Myles Turner spoke with the media following the Pacers' 110-106 loss to the Boston Celtics in Game 4 on Sunday at Bankers Life Fieldhouse. 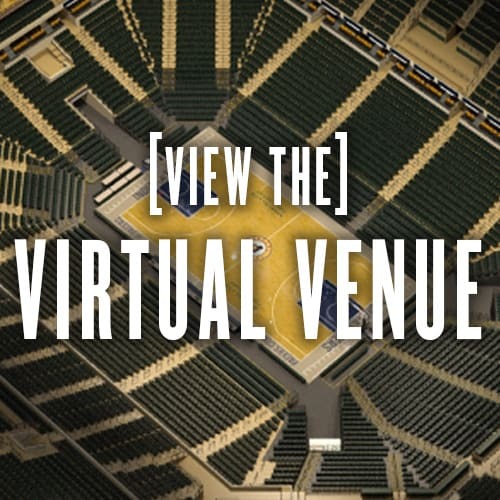 April 21, 2019 - Pacers players Darren Collison, Thaddeus Young, Wesley Matthews and Domantas Sabonis discussed Indiana's 106-110 loss to the Boston Celtics during Playoff Game 4 Sunday afternoon at Bankers Life Fieldhouse that ended the 2018-2019 Pacers season. 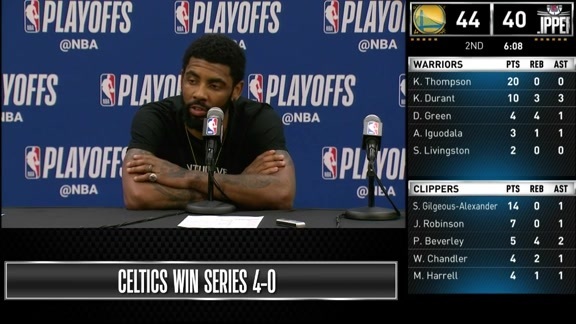 April 21, 2019 - Celtics guard Kyrie Irving speaks with the media following Boston's 110-106 win over the Pacers in Game 4 on Sunday at Bankers Life Fieldhouse. 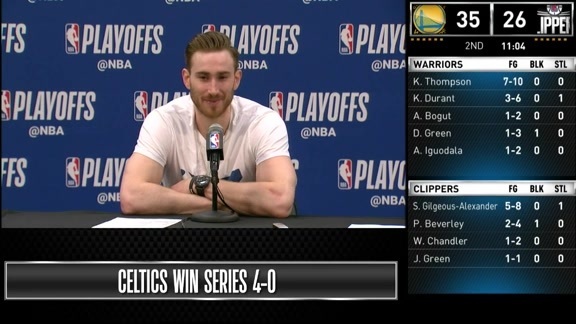 April 21, 2019 - Celtics forward Gordon Hayward discusses Boston's 110-106 win over the Pacers in Game 4 at Bankers Life Fieldhouse. 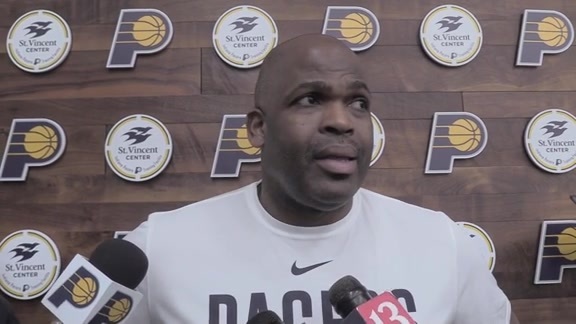 April 21, 2019 - Pacers head coach Nate McMillan speaks to the media following Indiana's 110-106 loss to the Boston Celtics in Game 4 at Bankers Life Fieldhouse. 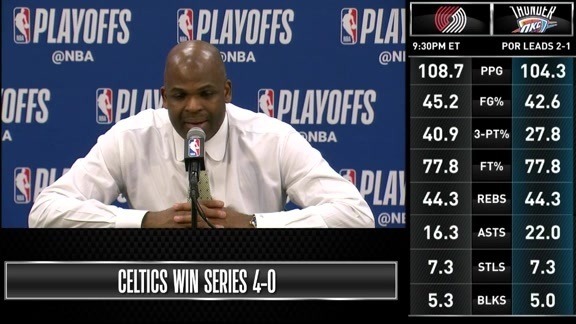 April 21, 2019 - Celtics head coach Brad Stevens discusses Boston's 110-106 win over the Pacers in Game 4 at Bankers Life Fieldhouse. 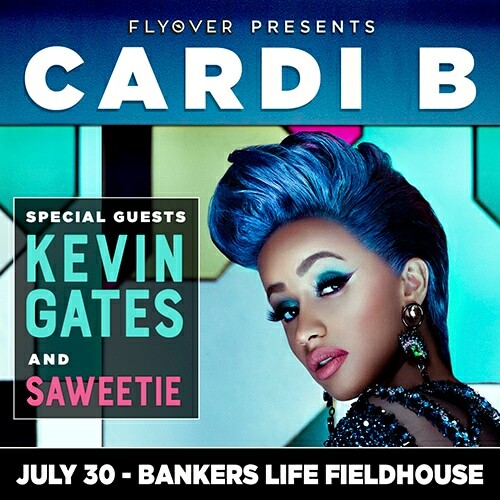 April 21, 2019: Tyreke Evans uses the euro step and gets the layup to fall in transition. 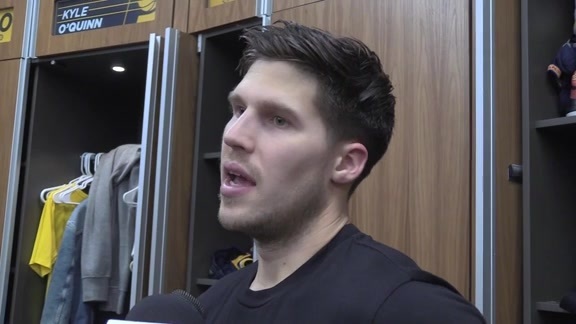 April 21, 2019: Bojan Bogdanovic drives past Aron Baynes and scoops it up and in. 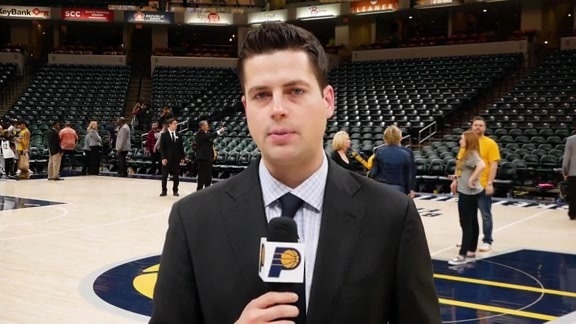 April 21, 2019: Myles Turner finishes with a huge dunk over Gordon Hayward. 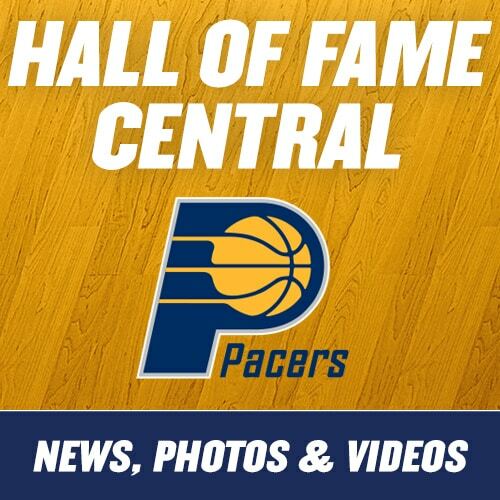 April 21, 2019: Darren Collison grabs the loose ball and Bojan Bogdanovic finishes with the flush. 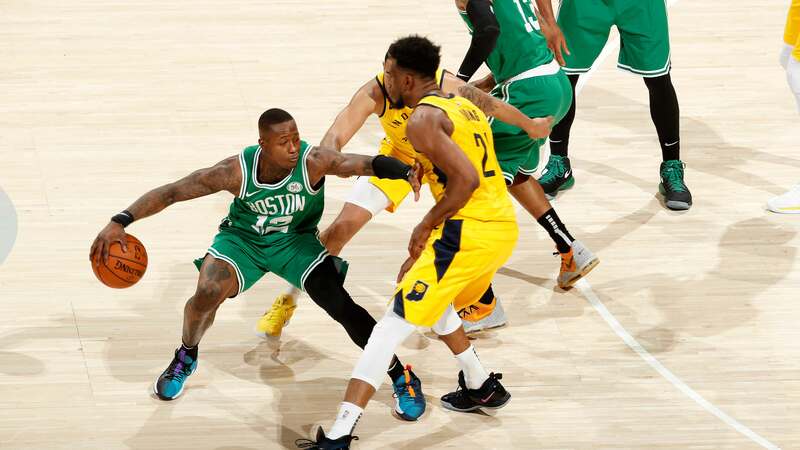 April 21, 2019: Myles Turner blocks Boston's Jaylen Brown and Darren Collison cashes in with a three-pointer at the other end. 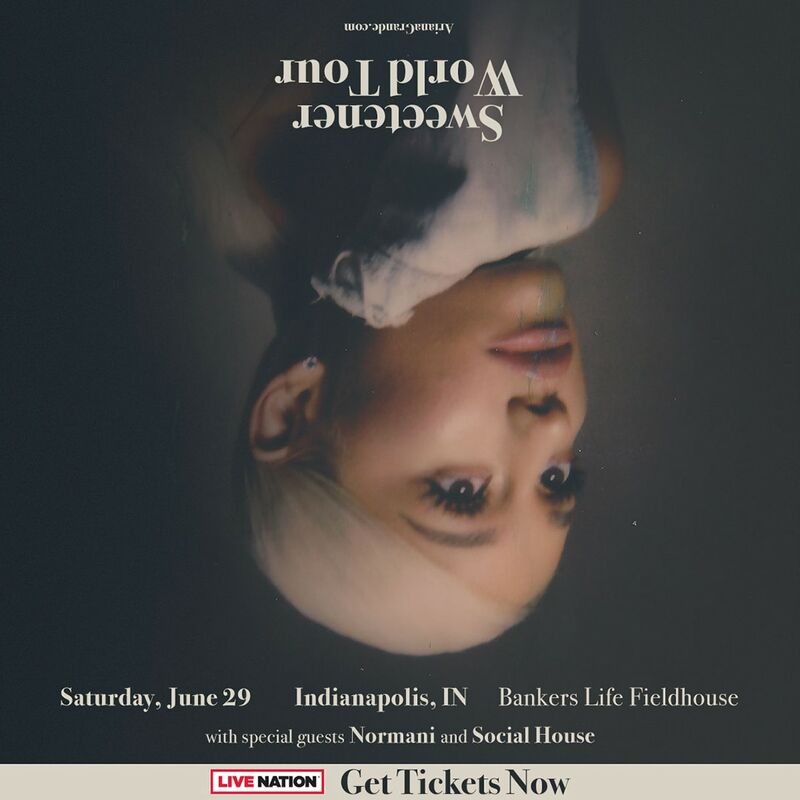 April 21, 2019: Bojan Bogdanovic drives and finishes with the tough basket and foul. 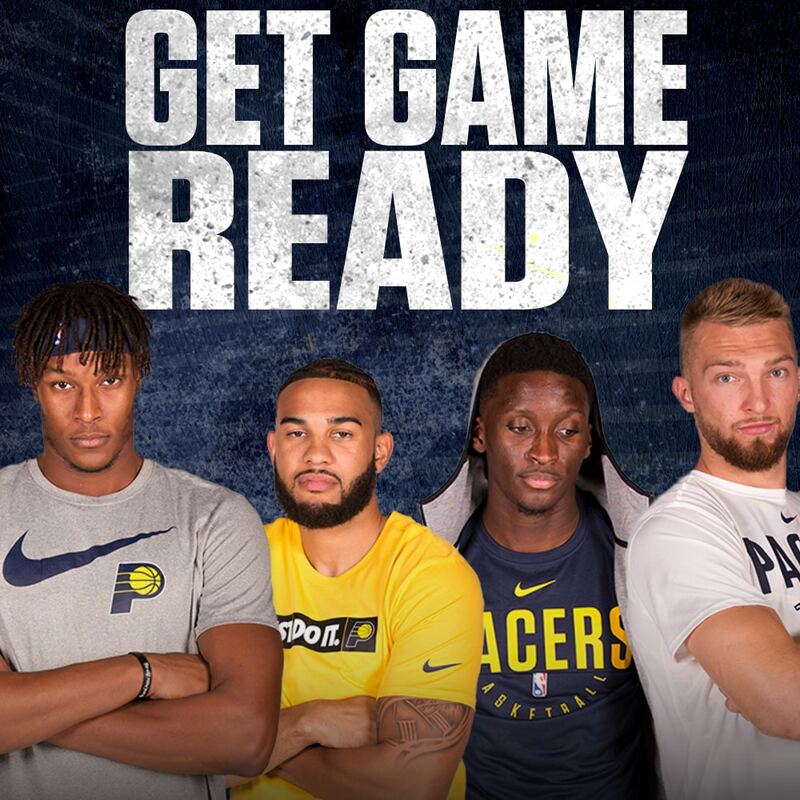 April 20, 2019 - After practice on Saturday, the Pacers talked about the mood of the team as they approach a do-or-die Game 4 with the Boston Celtics. 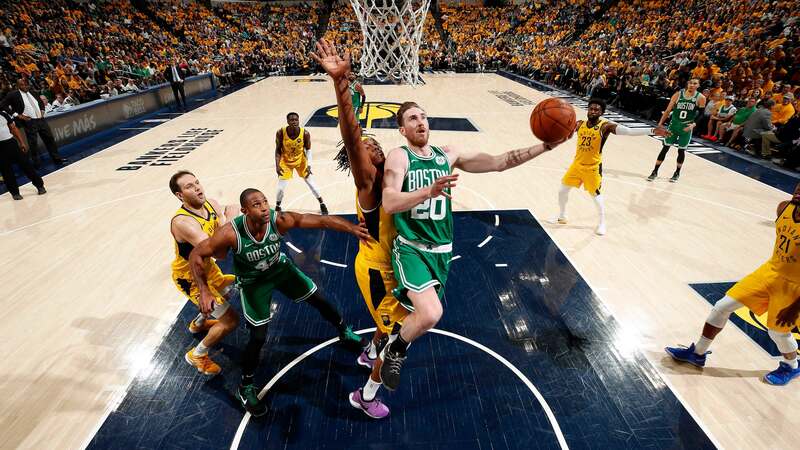 The Pacers play their first playoff game at Bankers Life Fieldhouse in-front a packed crowd but struggle to close it out in the 4th and lose 96-104 to the Boston Celtics. 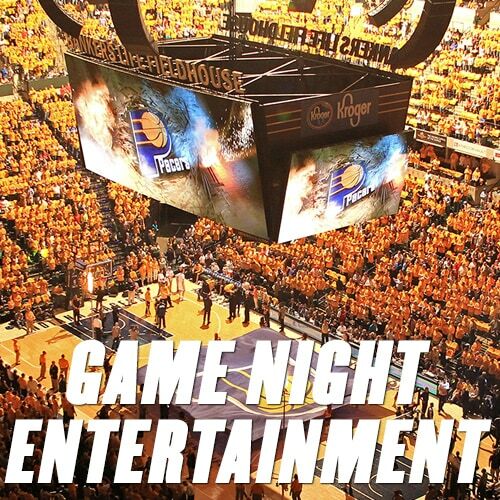 April 19, 2019 - Pacers players Darren Collison, Doug McDermott, Domantas Sabonis, Cory Joseph, and Myles Turner discussed Indiana's 104-96 loss to the Boston Celtics playoff game 3 Saturday night at Bankers Life Fieldhouse. 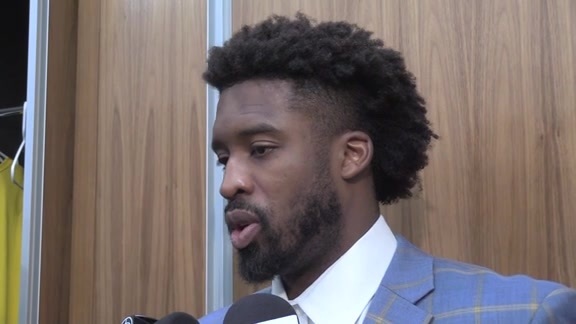 April 19, 2019 - Pacers guard Tyreke Evans discusses the teams struggles against Boston through three games following their Game 3 loss at home. 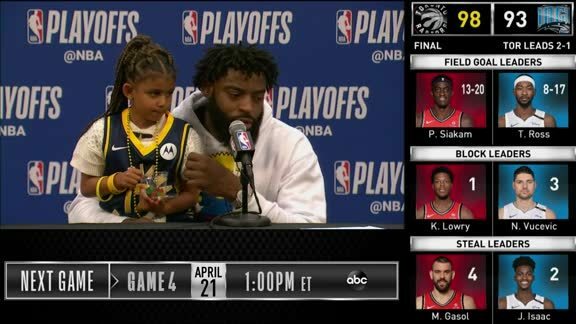 April 19, 2019 - Celtics players Kyrie Irving and Jaylen Brown talk about their winning performance after Game 3 in Indiana. 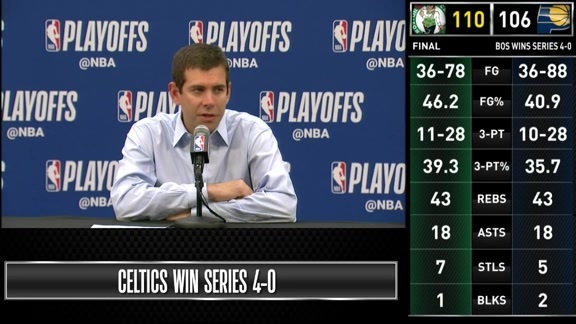 April 19, 2019 - Celtics head coach Brad Stevens discusses Boston's 104-96 win over the Pacers in Game 3 at Bankers Life Fieldhouse. 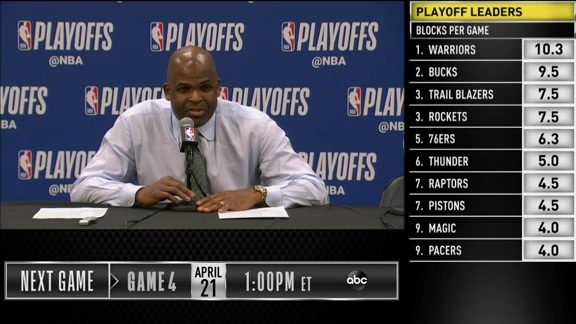 April 19, 2019 - Pacers head coach Nate McMillan discusses the teams tough Game 3 loss to the Celtics on Friday night. 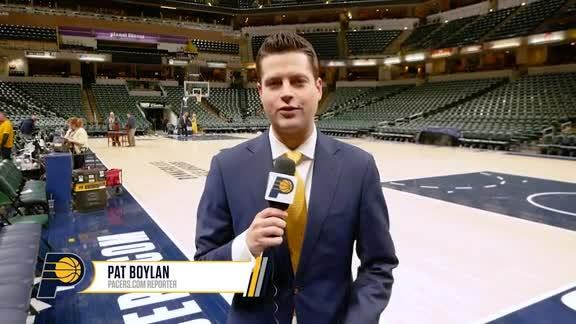 April 19, 2019 - Cory Joseph frees up Wesley Matthews with a screen, leading to a big three pointer from the wing. 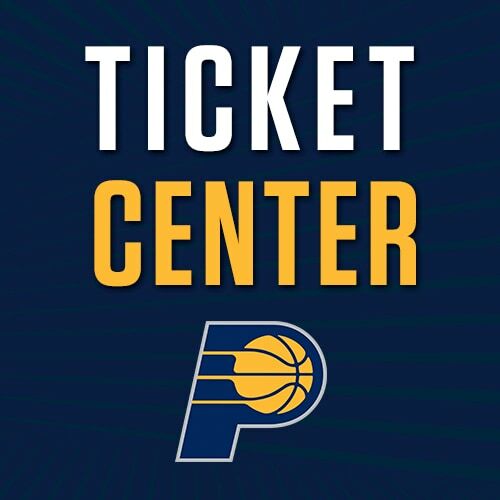 April 19, 2019 - Domantas Sabonis battles inside and comes away with two points. 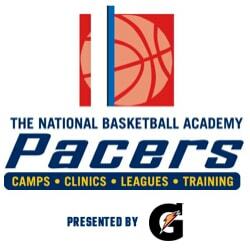 April 19, 2019 - Myles Turner finds space on the pick-and-pop and hits the jumper through contact. April 19, 2019 - Thaddeus Young gets out in transition and throws down the one-handed dunk. 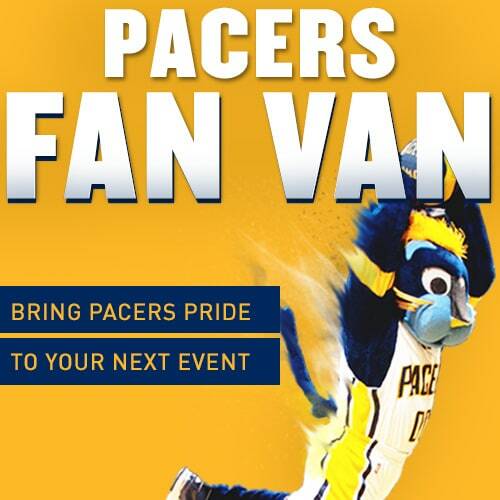 April 19, 2019 - Thaddeus Young creates the turnover and finds Tyreke Evans who finishes at the hoop.